The global civil helicopter fleet will grow 50 percent by 2034, despite the short-term pressures emanating from a weak energy market, according to a new report from analysts at Noealt Corporate Services. The global civil helicopter market has grown almost threefold in size over the past decade driven by an expansion of the degree as well as scope of utilization of civil helicopters across a range of user segments led by the offshore oil and gas exploration sector, law enforcement and other parapublic based applications. Further, the imminent, radical generational leap in technology with the development and commercialization of tiltrotorcraft and compound helicopters for the civil segment by the industry is likely to transform the market landscape significantly over medium term with the role played traditionally by civil helicopters likely to be redefined with a significant expansion of their operational spectrum, capabilities and performance threshold. The under-development AW609 program, especially, has tremendous potential for the offshore oil and gas transportation, search and rescue and executive transport applications. The near-term outlook for civil helicopters is, however, difficult with the sector impacted significantly by the ongoing downturn and consolidation in the offshore oil and gas exploration sector, which accounts for a major 40 percent share of the annual demand for new civil helicopters globally followed by law enforcement and EMS segments respectively. The global oil price dynamics are complex with crude oil prices likely to stay at current levels through 2016 driven by an oil oversupply scenario with OPEC likely to maintain output levels over near term to protect its market share while Iran also joins existing oil suppliers post lifting of sanctions with the recent introduction of Integrated Petroleum Contracts and plans massive investments towards oil and gas projects over the next five years to develop its oil & gas sector, which could provide some traction and uptick to the global construction and energy industries. The sustained slump in crude oil prices is likely to continue to have an impact on demand and activity across the global in-service civil helicopter fleet with limited activity across key exploration sites. Additionally, continued economic contraction in Brazil for the consecutive three quarters in 2015 and slowdown in China are adding further to the woes. However, other market segments, including, law enforcement, EMS, firefighting, tourism and training are witnessing an increase in utilization rate and replacement cycles which should keep the overall demand for civil helicopters stable over near term along with continued growth in aftermarket sales, MRO and other services amid a favorable and sustained low oil price environment. Also, the medium to long term view of the global civil helicopter market is promising, albeit near term pressures, with presence of strong fundamentals and long term, sustainable growth drivers and enablers with the Global in-service civil helicopter fleet projected to increase by 50 percent by 2034. Against this backdrop, the report analyzes the overarching strategic focus and priorities and provides comprehensive insights into the key strategies and plans being conceptualized, formulated and implemented by the world’s top five civil helicopter manufacturers for the near to medium term horizon as the industry gears up for a complex, challenging and rapidly evolving global macroeconomic and geopolitical environment. The initial sections of the report provide a snapshot and overview on the business operations and market positioning of each industry OEM while the SWOT framework analyzes the core strengths and weaknesses for each of the helicopter manufacturers. The SWOT framework subsequently analyzes and identifies potential growth opportunities and avenues and imminent/emerging threats for each key industry OEM based on their strategic product portfolio and market positioning, core strengths and weaknesses and overall strategy focus and orientation. The concluding sections of the report provide insights into key and emerging market and technology trends, issues and challenges and risk factors. 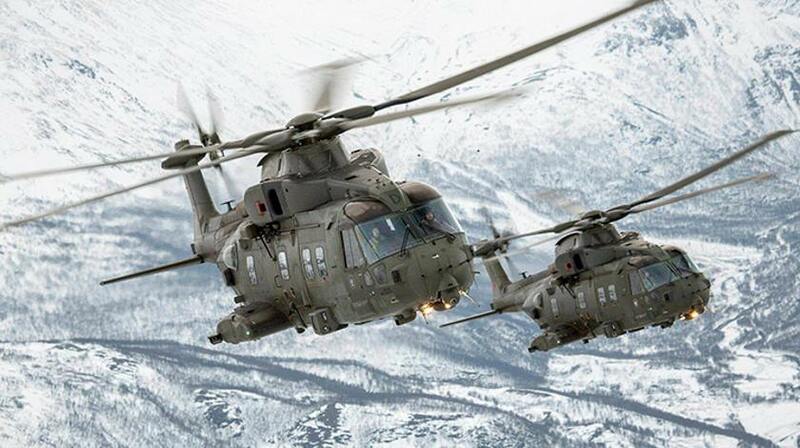 The report concludes by providing a force field framework analysis on the global civil helicopter market and assessing the medium term strategic outlook for civil helicopters along-with inputs on market evolution and growth projections through 2025.